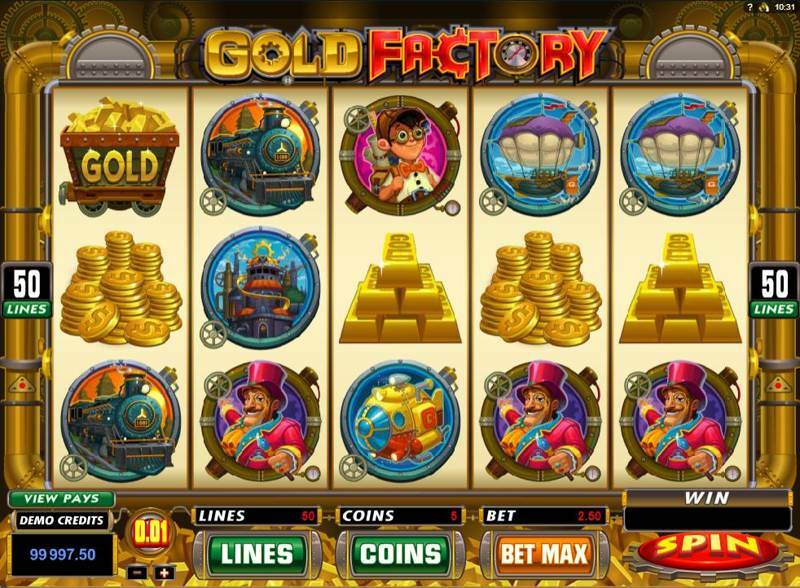 The Gold Factory slot epitomises what an online slot is all about: making some money. You are set away deep in a gold mine where you need to get your gold out of there as quickly as possible and by any means. The evil gold doctor is on hand to try and make your stay as unpleasant as possible, but he’s not all that mean in all honesty. An interesting 5 reel, 50 payline game is on offer here, and we say interesting because there are seldom games that have included this type of format. What that means is that the betting starts from just 1 coin per spin, but works up to an impressive 1000 coins per spin, ideal for the healthier bankrolls among you. On top of that, you get a bonus game, free spins, wilds and scatters to keep you entertained. The Gold factory is definitely one of the more attractive slots from Microgaming. A game that includes a wealth of interesting symbols from trains, submarines, ships, gold bars, gold coins, and gold wagons; it really does ooze money. The best place to start with this feature rich slot is probably the highlight of Gold Factory – the bonus game. First up you need to access the game and to do this you will need to get three or more of the bonus coins scattered anywhere on your 5 reels. Once in, you will get the chance to pick four out of 12 boiler rooms to reveal a prize. On top of that, it is possible to activate two second level games which come in the form of free spins and the Reactor Bonus. These games will be played as the bonus game is taking place and you will resume the bonus game upon completion of the level 2 games. The free spins game and reactor game can both be activated from the bonus game. 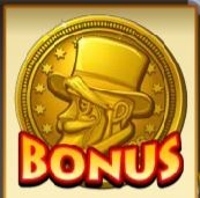 The free spins game requires you to get the free spins logo and from there you will get between 10 and 35 free spins, which cannot be re-triggered. All winnings in this game will be doubled. The reactor bonus game gives you 12 picks to choose from and two of those will be the hazardous signal meaning the game is over. A series of prizes will behind each and a 1x multiplier is be offered as a consolation for every box not opened in each round.